Disney Debuts Character Posters for Mary Poppins Returns! Mary Poppins Returns – Mary Poppins (Emily Blunt) – Photo courtesy of Disney. Walt Disney Studios has released a series of five character posters for Mary Poppins Returns – Mary (Emily Blunt), Jack (Lin-Manuel Miranda), Topsy (Meryl Streep), Ellen (Julie Walters and WWW (Colin Firth) – check them out below. Meryl Streep Reacts to Her 20th Academy Award Nomination! This morning Meryl Streep earned her record-setting 20th Academy Award nomination (breaking her previous record of 19) for her performance as Florence Foster Jenkins in the film of the same name. As always, Ms. Streep had a unique reaction to the news – which you can find following the break. Florence Foster Jenkins Sings – Even If She Can’t! Florence Foster Jenkins is a film that is based on the last few months of the title character’s life. Jenkins was a fierce music lover – she supported the music scene in New York and eventually decided that she had to sing. It was not the smartest move she could have made – she is considered to be one of the all-time worst singers. The Writers Lab Announces Women Screenwriters For Script Development Retreat! Meryl Streep has long advocated the hiring of more women in all aspects of filmmaking and noted that so-called ‘women’s movies’ -when done well – makes a ton of money. She has also put her money where it counts, funding a script development retreat for The Writers Lab that will give a dozen women screenwriters an intensive three-day opportunity to work up their next scripts. New York Women in Film & and Television and IRIS, a collective of women filmmakers, today announced the selected screenwriters and named the eight mentors who will work with them (it’s a very impressive list). Follow the jump for more. Ricki and The Flash: A Rockin’ Heart Beats Clichés! Ricki Rendazzo is forever stuck in a bar band/supermarket cashier world after abandoning her family to follow her rock & roll dream. The only place she’s at home is on stage – and the tragedy of the film is that she seems to be doomed to never rise above bar band notoriety. 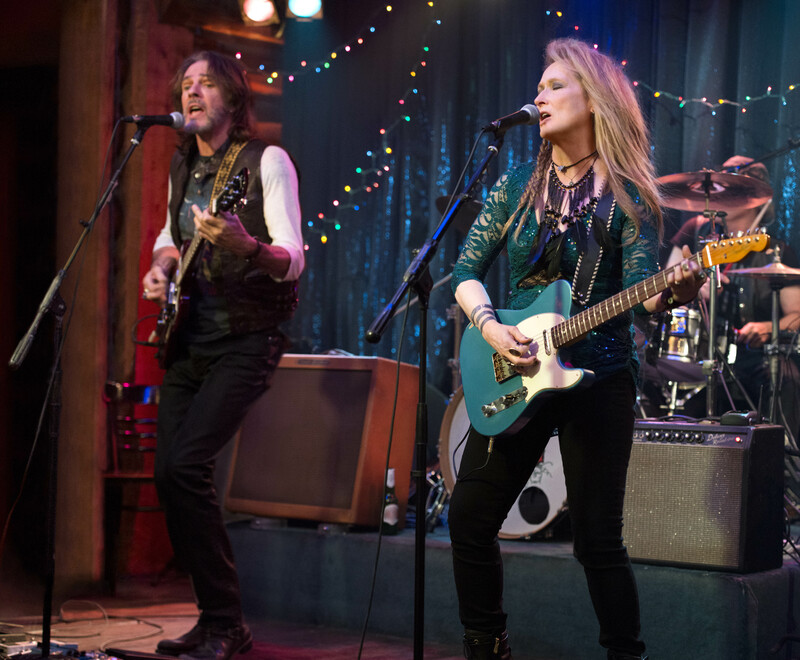 Rockin’ Trailer: Ricki and the Flash! Meryl Streep plays a rockin’ mom who was pretty much never there for her daughter – played by her daughter Mamie Gummer – and returns home when she learns of her daughter’s being dumped by her husband. Rick Springfield and Kevin Kline co-star. Check out the trailer for Ricki and the Flash after the jump. Ricki and the Flash opens on August 7th. 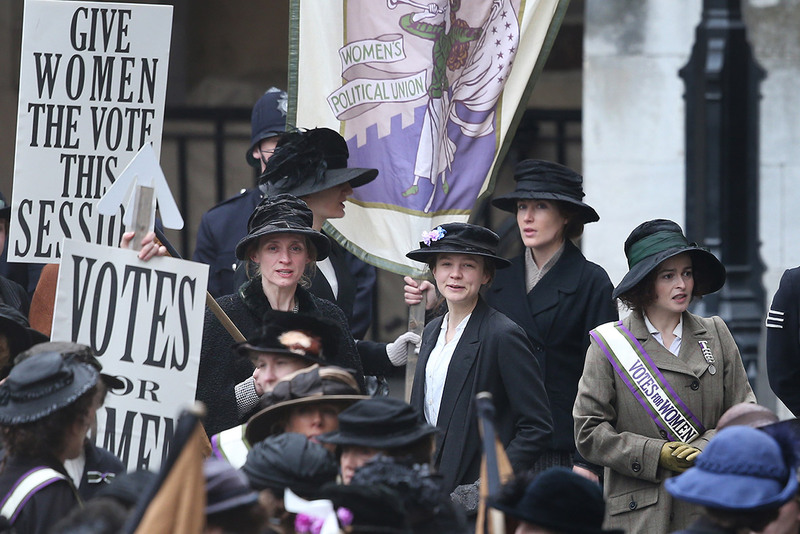 Suffragette Teaser Released To Get Out The Vote In The UK! A teaser for Suffragette – the story of the fight for women’s voting rights – has been created to help stress the importance of voting in the May 7th General Election in the UK. Suffragette will be in theaters on October 23rd. Check out the teaser following the jump.